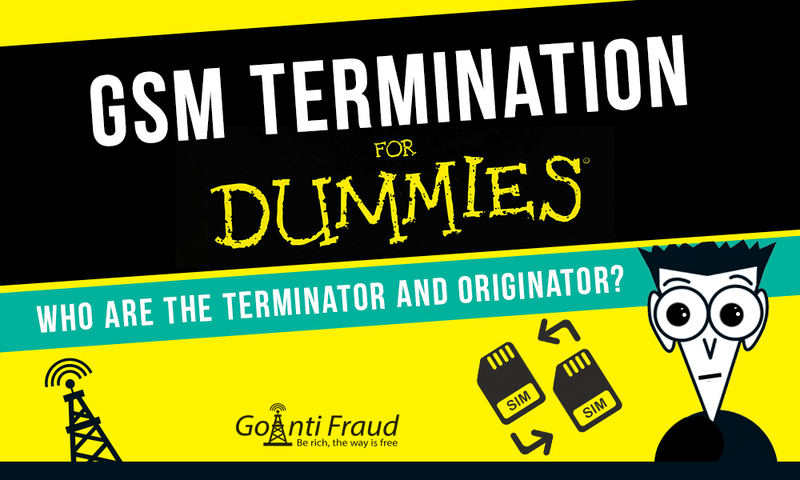 GSM termination for dummies: Who are the terminator and originator? Voice traffic termination is a modern business area in telecommunications field, which can bring high profits. This business is based on the so-called "landing" of international traffic (minutes of conversation via telephone networks). With the use of special equipment (GSM gateways), calls are completed in the country of destination not at international but at the local rate. The terminator earns on the cost difference. So, a terminator is an entrepreneur who owns specialized equipment that is a gateway. SIM cards from which calls are made at local rates are inserted into such a gateway. Thanks to GSM equipment capabilities, it becomes possible to convert calls from VoIP format into GSM format and price them at local rates. And who is the originator? The originator company delivers voice traffic to the terminators. That is, in essence, a client of the terminator to whom the latter has to sell the route (for call landing). The originator, or the traffic provider, makes money on redirecting the call further to the destination country. It is one of several transit operators in this business chain and each receives their cash share for redirecting the traffic. The originator has a choice - to send a call to a mobile operator in the country of destination or to the terminator. In the second case, it will have to pay less and thus will be able to earn more. Therefore, it is beneficial for the originator to contact the terminator. And the terminator himself actually acts as the mobile operator of the country to which the call arrives, that is, he makes money on behalf of the operator. For GSM operators, terminators are competitors who take the lion's share of their profits. Therefore, they use special anti-fraud software to track traffic landing and block suspicious SIM cards. Before you start a business in this area, you need not only to buy gsm voip gateway 4 sim card or other equipment, but also to protect the cards from blocking. GoAntiFraud designed for efficient GSM termination excellently copes with this task.